Presently there are about 200 single family homes listed for sale in New Tampa (Zip code 33647). Only 11% of them are "distressed sales". List prices range from $139,900. to $2 million. 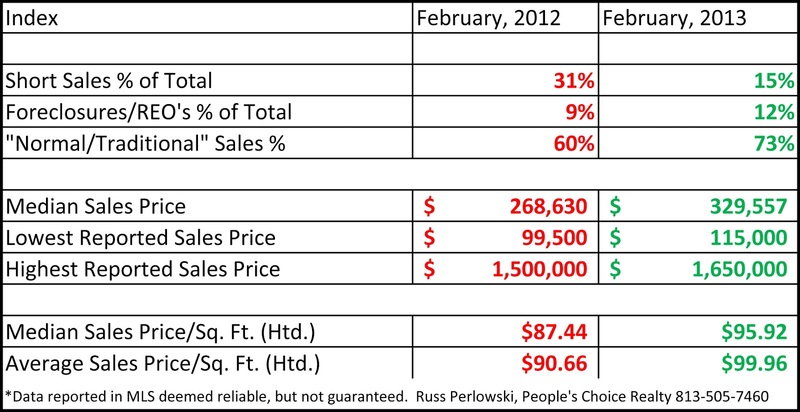 *Information reported in our MLS deemed reliable but not guaranteed. 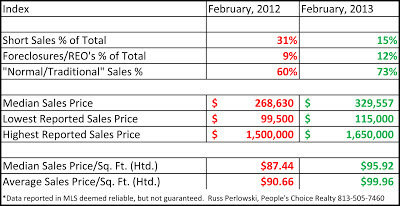 Statistics calculated based on reported February sales thru 3/04/13.